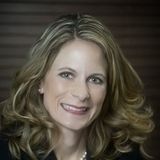 Justia Lawyer Directory Search for "Kate Elizabeth Frenzinger"
Search for "Kate Elizabeth Frenzinger"
Attorney Elizabeth K. Green is a Los Angeles long-term disability lawyer with Kantor & Kantor. Having received her Juris Doctor in 1998, she has over 15 years of experience practicing in both state and federal courts. More information is available at www.kantorlaw.net.